While I agree with you on the speed with which veterinary bills can enter tens of thousands of pounds I’m not sure where you got your pricing for insurance policies from as it seems very different to my experience. I have three small dogs (all healthy, neutered, innoculated etc, etc) insured by one of the more competitively priced ‘high end’ insurance policies and they each cost £25p/m. The most expensive companies offering the same, lifetime, comprehensive policies were easily double this price, so over £50 per small dog per month. My large breed dog is on a mid range policy with a different insurer and costs £50 per month, an equivalent policy level to the smaller dogs by the same insurer – again mid market as far as price in concerned – was £120 per month. The small breeds could easily live for 15 years – roughly £4500 per dog in insurance premiums, and the larger dog should get to around 10 – around £6000 in insurance. 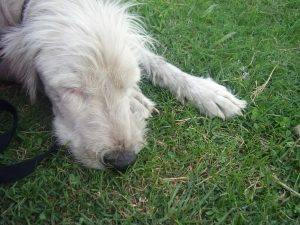 Also one benefit of lifetime cover is that should your dog get a diagnosis that requires it to have treatment for the remainder of it’s life – eg, epilepsy or diabetes – your insurer will pay the cost of treatment over the years rather than paying out one year and then excluding it in the future.